It wouldn’t be a mega-phone launch day if it didn’t do a comparison, would it? 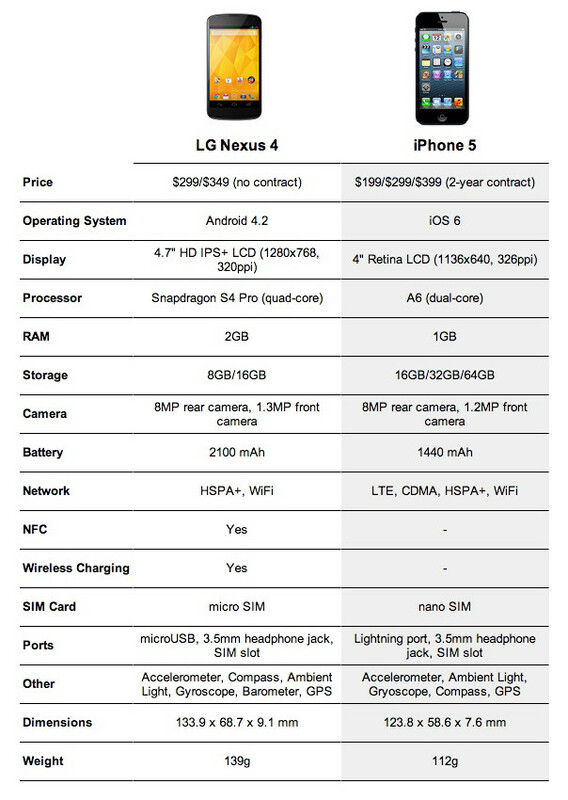 Since the LG Nexus 4 is the latest and greatest from Google, a device that will undoubtedly be compared to Apple’s iPhone 5, here is a chart to kick off the party. 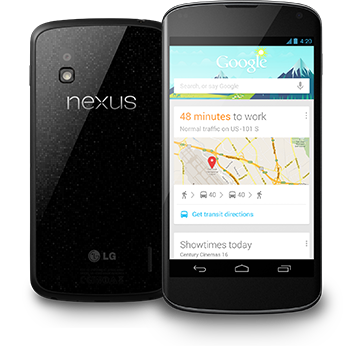 The only real downer for me and probably many of you, is the lack of LTE in the Nexus 4. Andy Rubin already explained the choice by Google, but after spending a year giggling at the iPhone 4 and 4S over not having LTE, this one certainly doesn’t look good on Google’s part, especially since the iPhone 5 does. Other than that, it’s the ultimate spec battle. We should also point out that pricing is tough to compare since the iPhone 5 is almost always sold at a 2-year contract price, while the Nexus 4 will be sold off-contract through Google Play. Monday Poll: Are You Buying the LG Nexus 4?